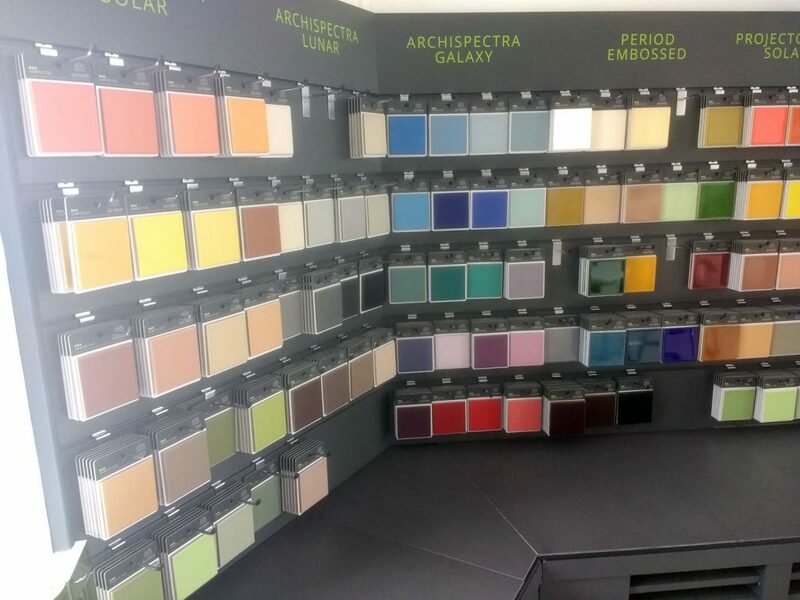 Our Glazed Brick Slips available in an extensive range of colours to help compliment your project. 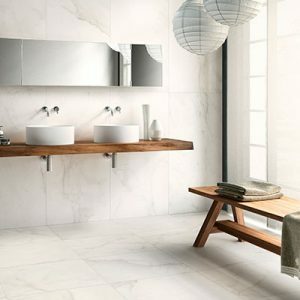 Modern and versatile, our porcelain tiles can be used in all kinds of settings! 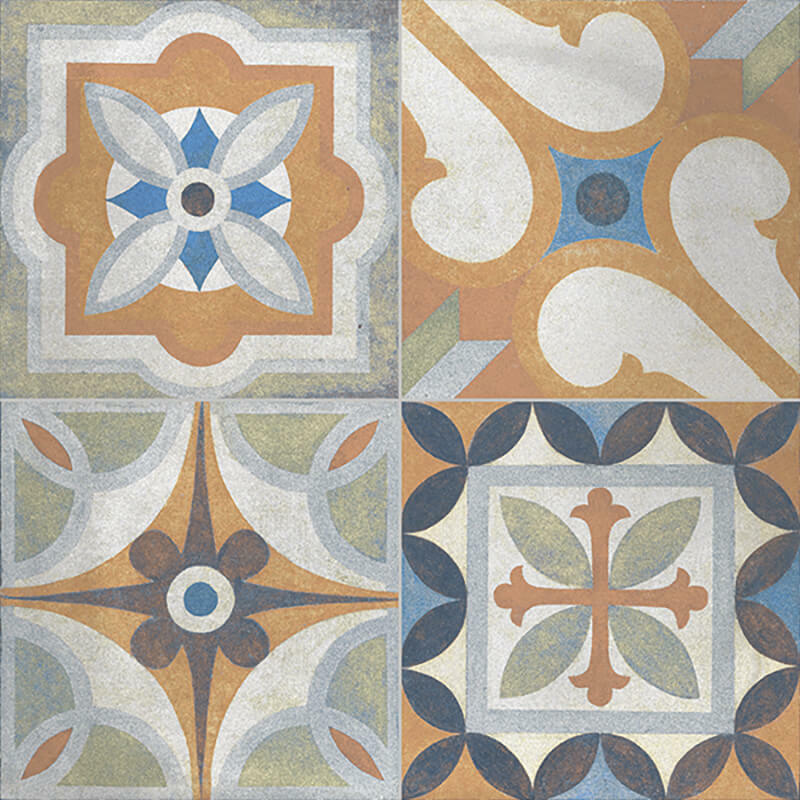 From Traditional Victorian Tiles to striking Metro Tiles, our ceramic tiles are suitable for all kinds of settings – contact us to discuss your project! 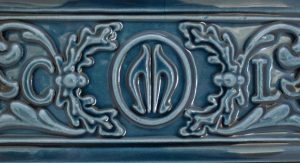 When a project requires something very special, sometimes only bespoke tiles will do. 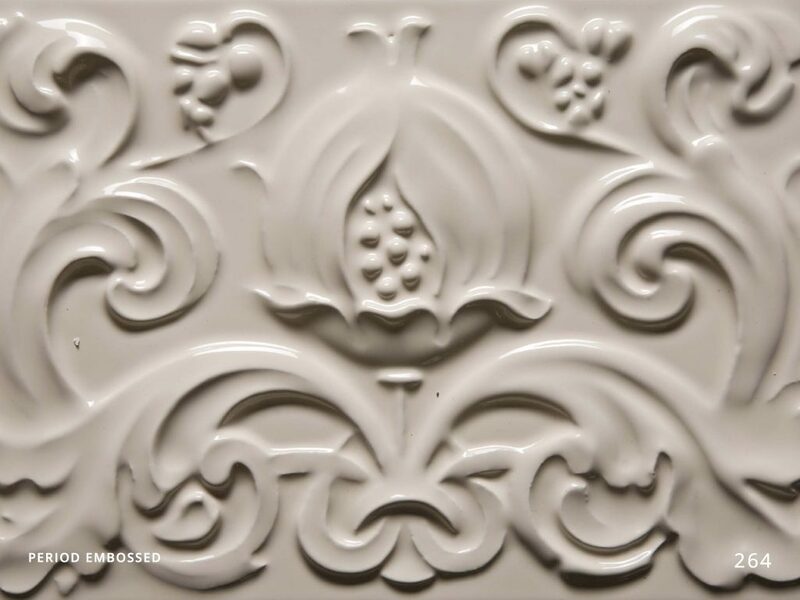 We have years of experience in tile manufacture and are happy to discuss your requirements! 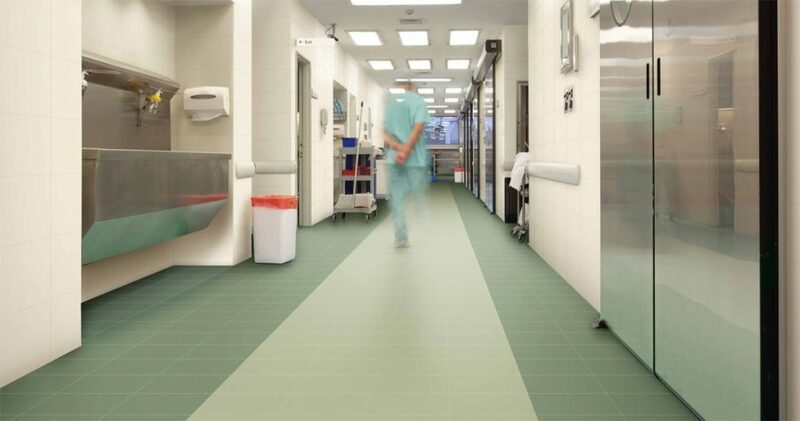 A selection of anti-slip floor tiles that meet a 36+ rating on the UK standard BS 7976-2: 2002 (Slip Resistance) test. 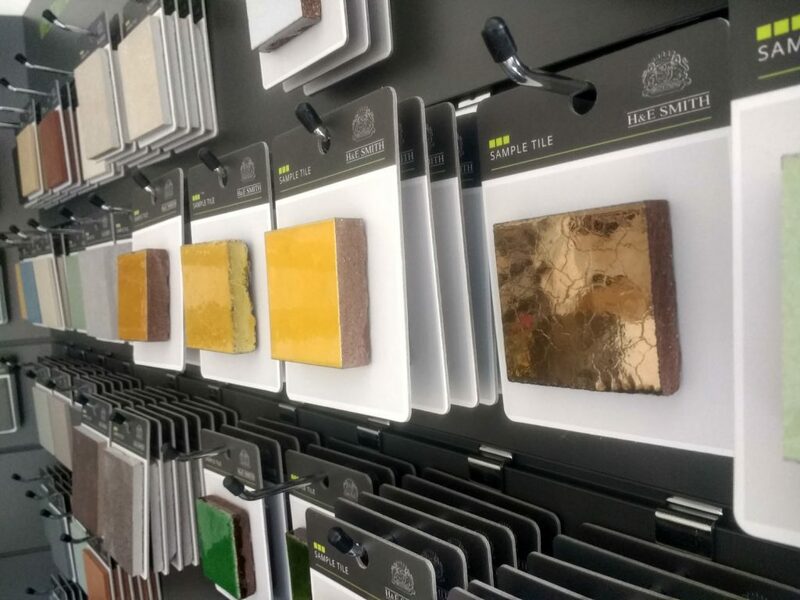 At H & E Smith we are frequently asked to supply free tile samples for the purpose of helping architects and specifiers choose the tiles they require for specific projects. 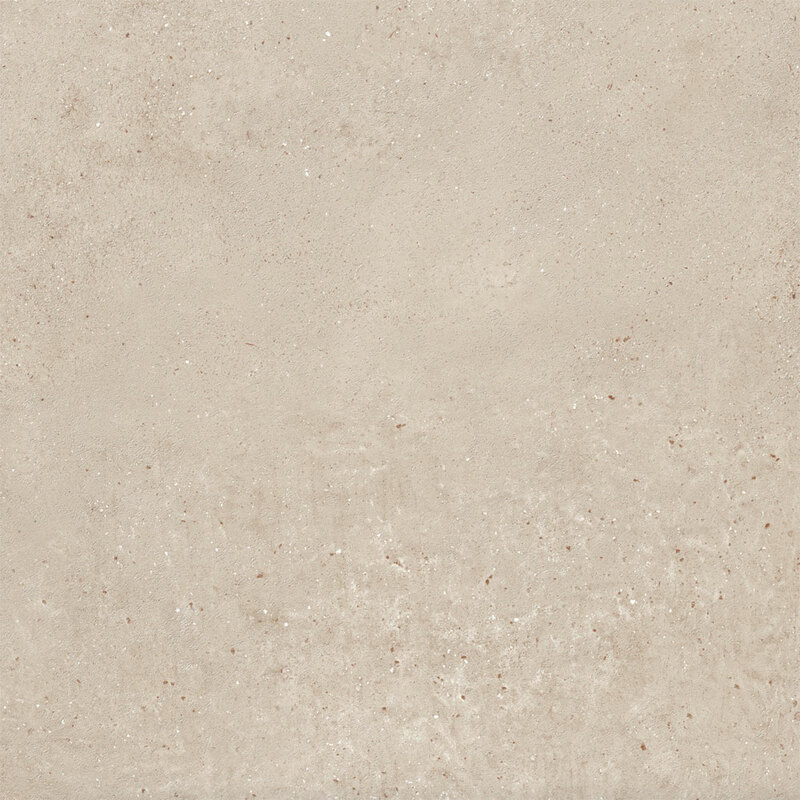 We have significantly expanded our range of porcelain tiles to help meet individual project needs. 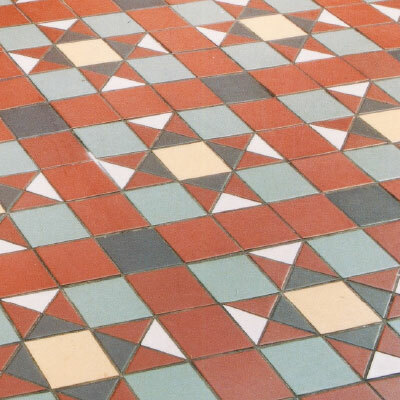 By getting a feel for the style, colour and texture of particular tiles it can often help inform a design decision. 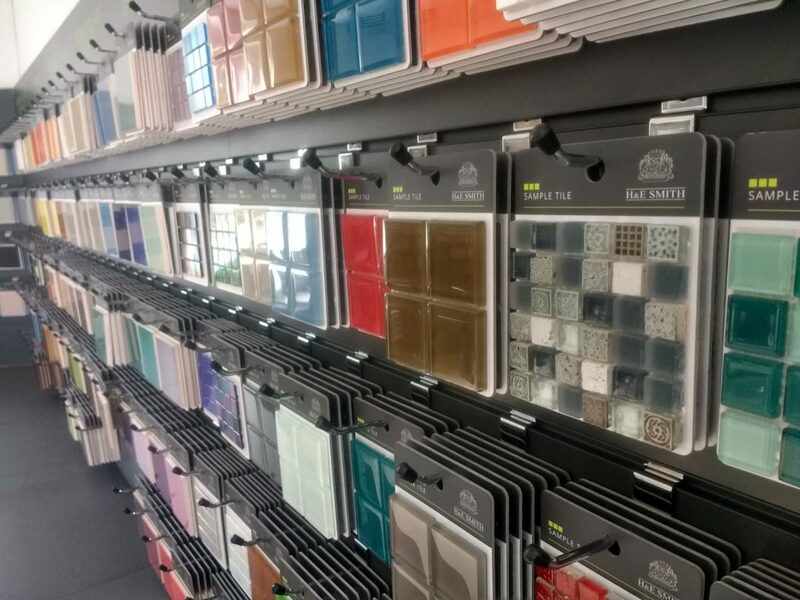 We now have a purpose built tile sample showroom to help with all your design requirements. Browse our tile ranges and request samples of tiles from us to help choose the most suitable products for your interior and exterior design projects. See you at the Surface Design Show 2019? 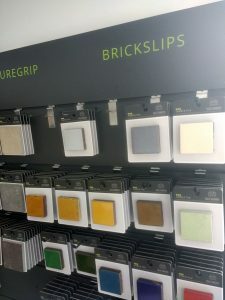 Why use brick slips for design? 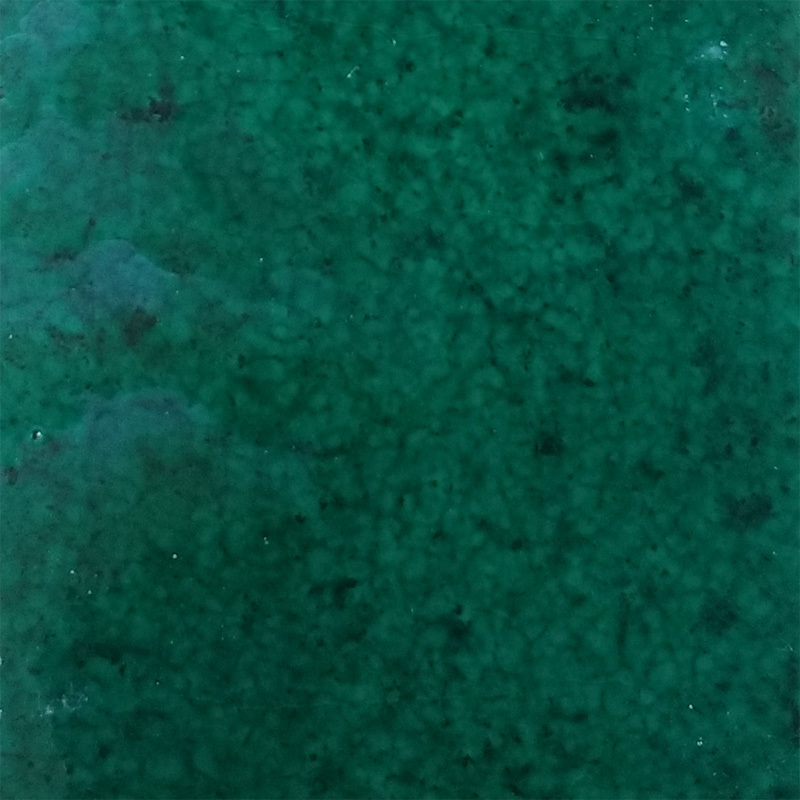 Brick Slips are thin sections of brick that are used to decorate a surface and enhance it’s appearance by creating the effect of a solid feature wall. 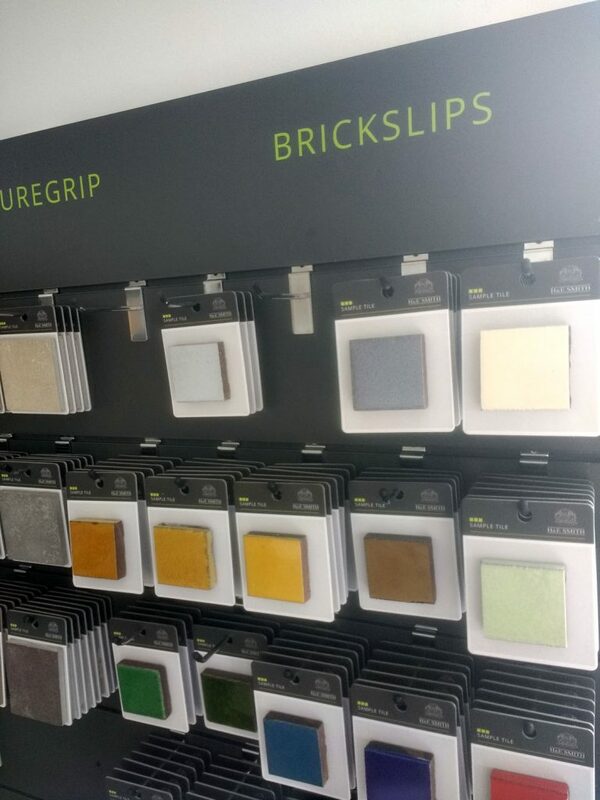 Our Eco-Glazed Brick Slips are available in 19 colours. 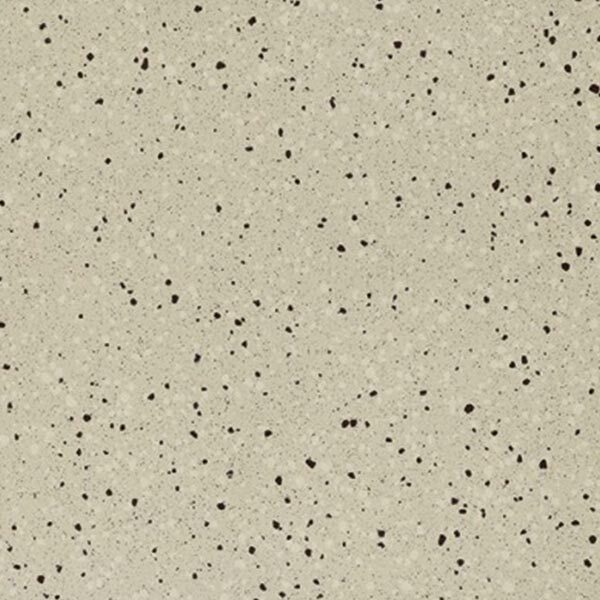 Porcelain Tiles for Walls and Floors and ranging from Geometric Multicolour to large Format stone effect and slip resistant technical porcelains for commercial projects. 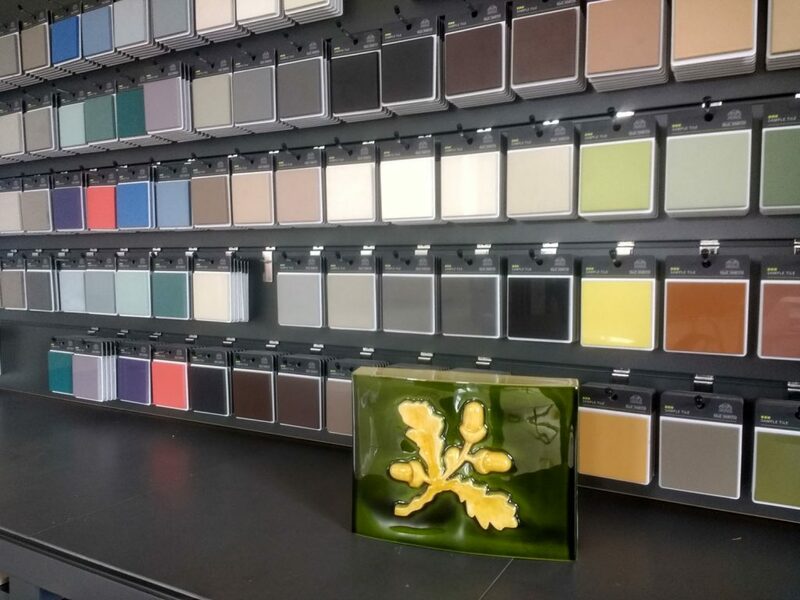 Ceramic Tiles for Walls and Floors ranging from Traditional High Gloss Victorian Glazed Tiles to Contemporary Fast Fire Multicolour Silkscreened Tiles to inspire the imagination of the Interior Designer. 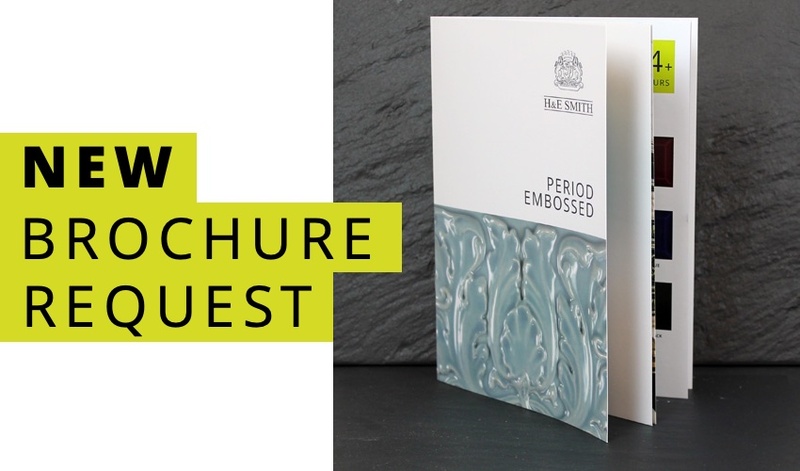 H & E Smith offer a bespoke manufacturing service for their clients. 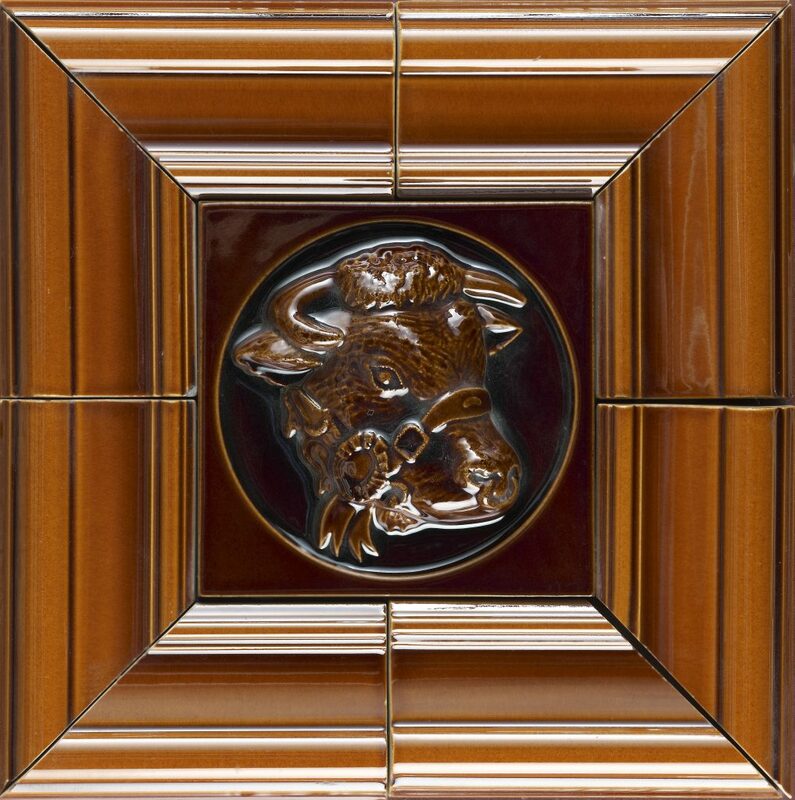 As a specialist tile manufacturer, we always try to give our clients a first class service which leads to a happy purchasing experience and positive feedback. 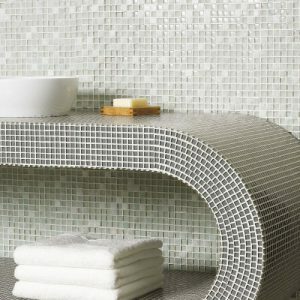 Mosaic Tiles data back to antiquity and have always been a superbly attractive and versatile design feature, either used on their own or as detailing as part of a wider design scheme. 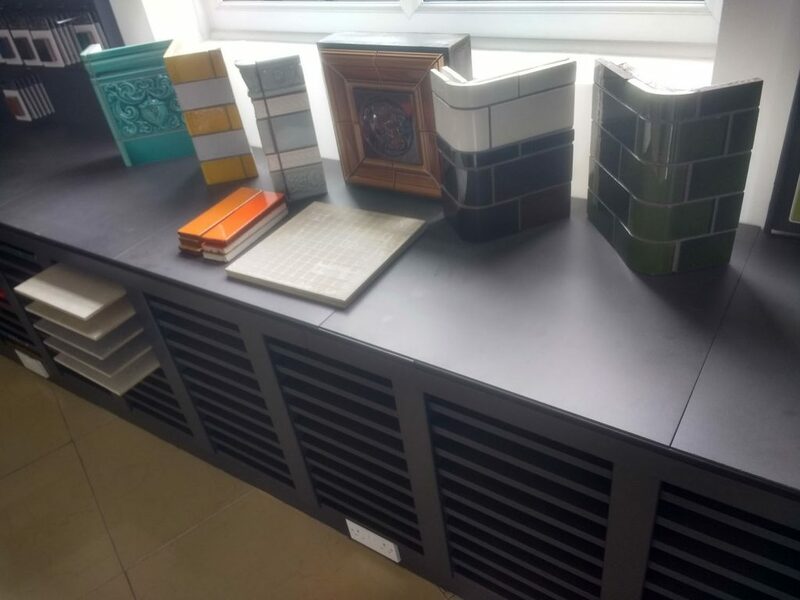 Since the mid 1980’s H & E Smith has been manufacturing bespoke glazed ceramic tiles and Fainze for London Underground Station refurbishment projects. 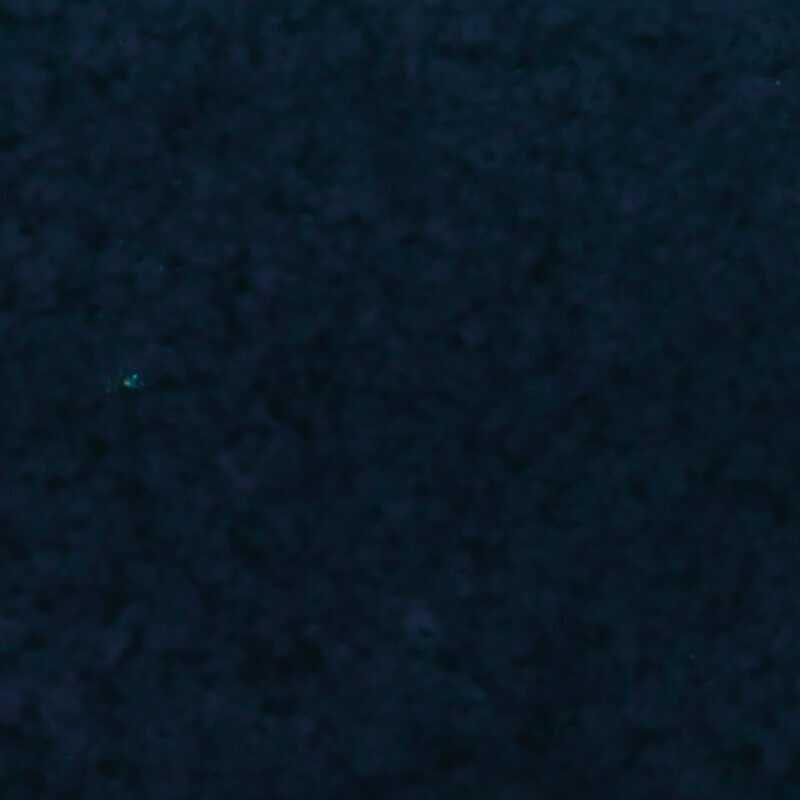 Are you looking for inspiration? 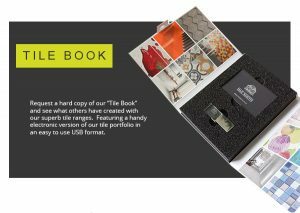 Take a look at our online “Tile Book” and see what others have created with our superb tile ranges. You can also download it in PDF version or request a physical copy if you require it. H & E Smith has been a specialist Tile Manufacturer and Distributor since 1926. 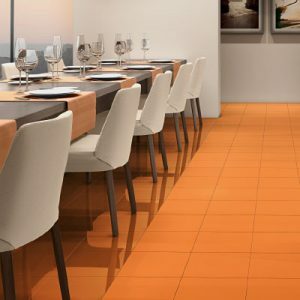 Our website allows discerning Designers and Architects to source tiles by various criteria such as Large Format Porcelain Floor Tiles or Bespoke Tiles. 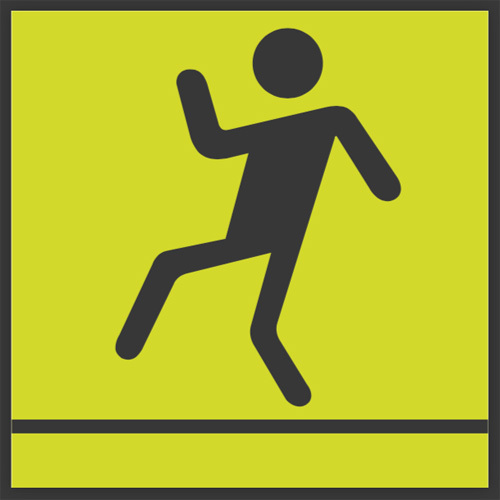 The H & E Smith Tile book which is regularly updated, can easily be downloaded from the homepage. Currently The Tile Book features the following twenty sections: Bespoke Traditional Glazed Tiles; Coloured Porcelain & Ceramic Wall & Floor Tiles; Concrete Effect Large Porcelain Floor Tiles; Decors Ceramic Prints; Decors Ink jet Porcelain; Decors Silkscreen Porcelain; Geometric Porcelain Tiles; Impact Porcelain Wall Tile Arrangements; Large Format Glazed Wall Tiles; London Underground Tiles supplied by H & E Smith; Marble Effect Large Porcelain Floor Tiles; Mosaics- Decors Glass; Mosaics- Glazed Porcelain; Non Slip Commercial Floor Tiles; Period Embossed; Salt and Pepper Porcelain Wall and Floor Tiles; Slate effect Large Porcelain Floor Tiles; Special Effect Porcelain Floor Tiles; Stone Effect Large Porcelain Floor Tiles and Wood Effect Porcelain Floor Tiles. H & E Smith was originally established back in 1926 as Smith & Warrilow by William Henry Smith and his partner Ernest Warrilow. 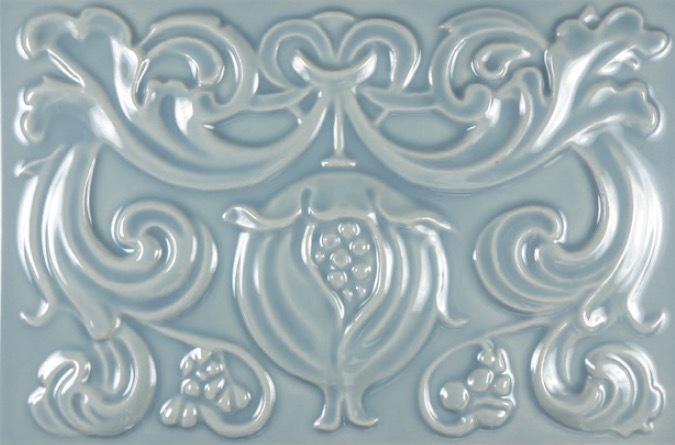 They specialised in the manufacture of refractory glazed tiles for fireplaces and later the manufacture of finest quality traditionally crafted English ceramic wall tiles.  The current name is the result of a company restructuring process caused by the retirement of Ernest Warrilow. 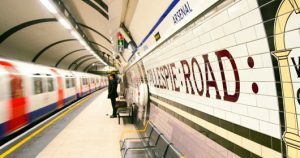 As a Specialist Tile Manufacturer, the company has a long reputation of supplying ceramic tiles to London underground, where reliable production schedules, quality and precision manufacture have been paramount to maintaining the efficient running of the service. 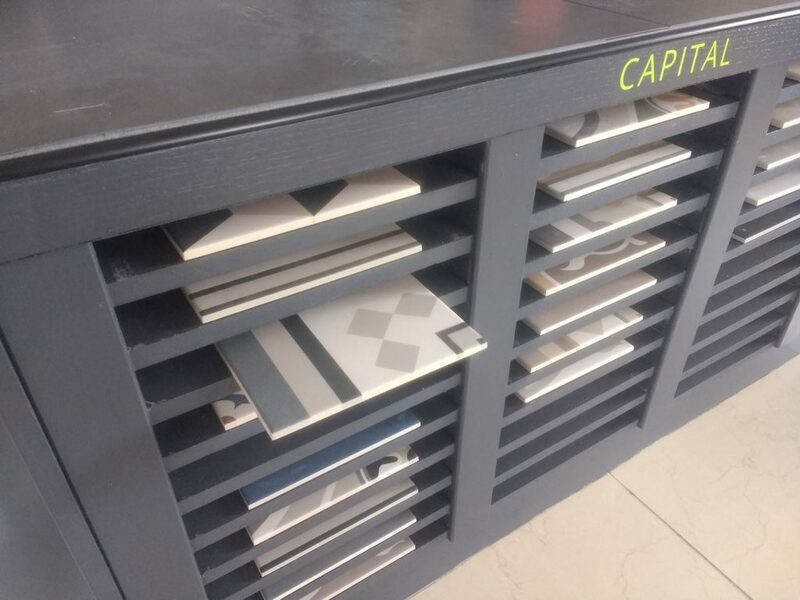 Our experience with the bespoke manufacture of ceramics has greatly enhanced our ability to be able to work closely and effectively with interior designers and specifiers.  This has culminated in our large collection of clients that we now supply throughout the World, both in the fashion and restaurant sectors. These include Ben Sherman, Ted Baker, Jamie Oliver and Byron Restaurants. 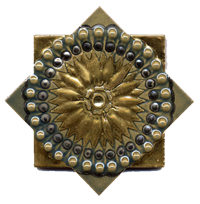 The expansion of the business has acted as a catalyst during the past few years. As a specialist tile manufacturer, our knowledge of the market has enabled us to expand our product offer, incorporating the latest inkjet digital technology, innovative new materials in extra large formats, ultrathin porcelain panels and vast colour palettes, all available to the client in one easy process. 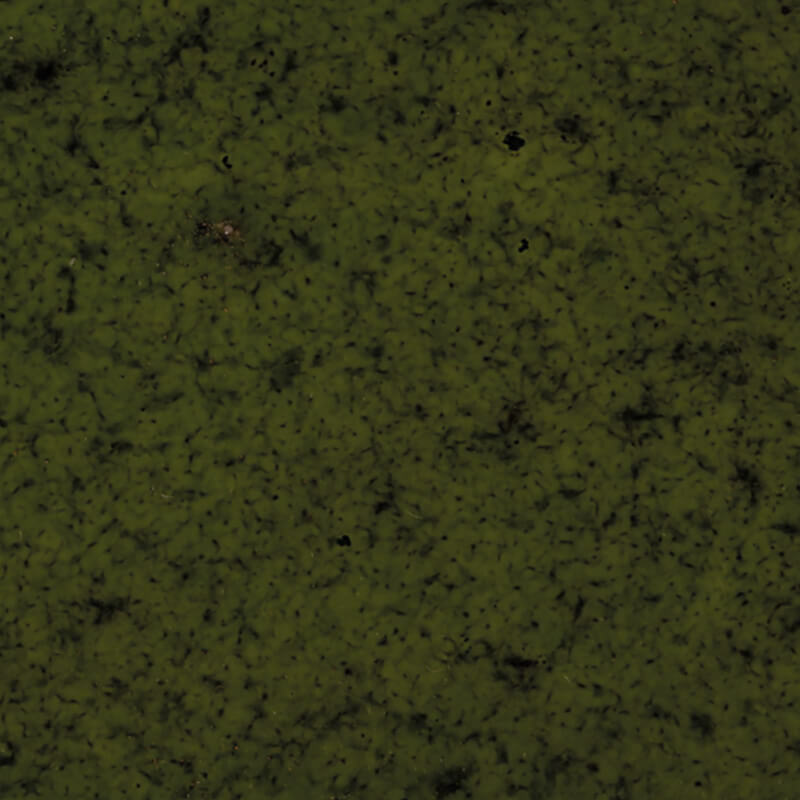 As designers and creators of ceramics, we are passionate to explore new horizons with materials, colours and textures. 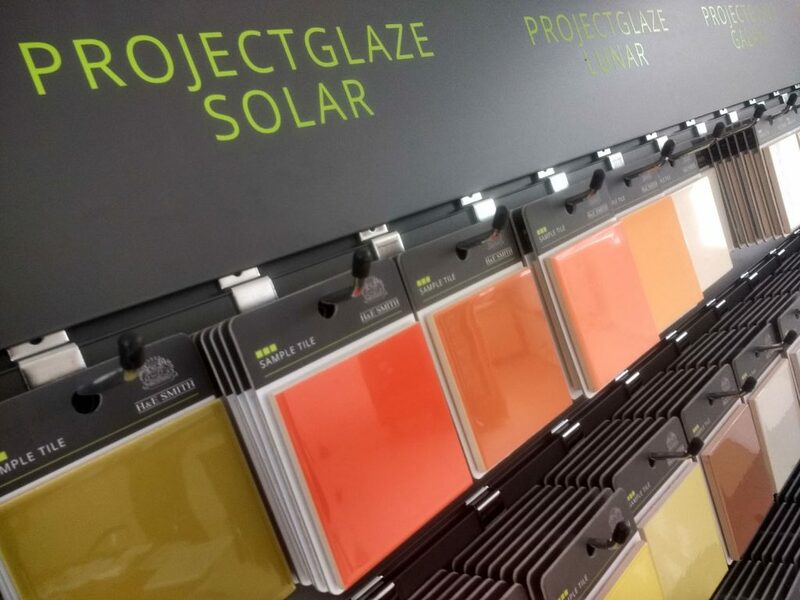 These are reflected in our comprehensive product ranges. 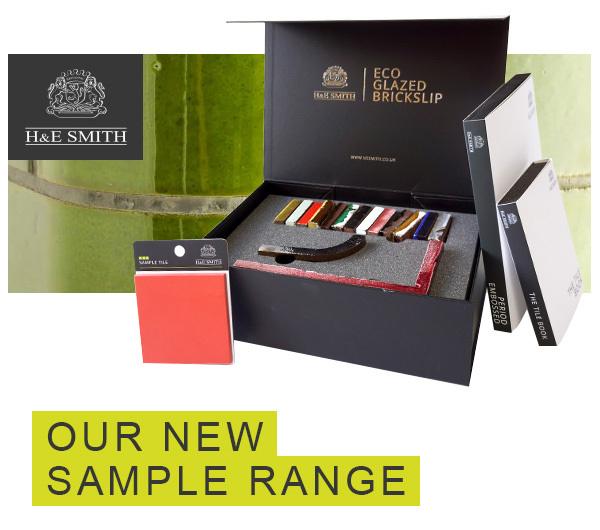 Samples can be ordered through the website and dispatched within hours. Our technical sales team are also readily available for visits to clients to discuss options, alternative materials and assist in any way possible.